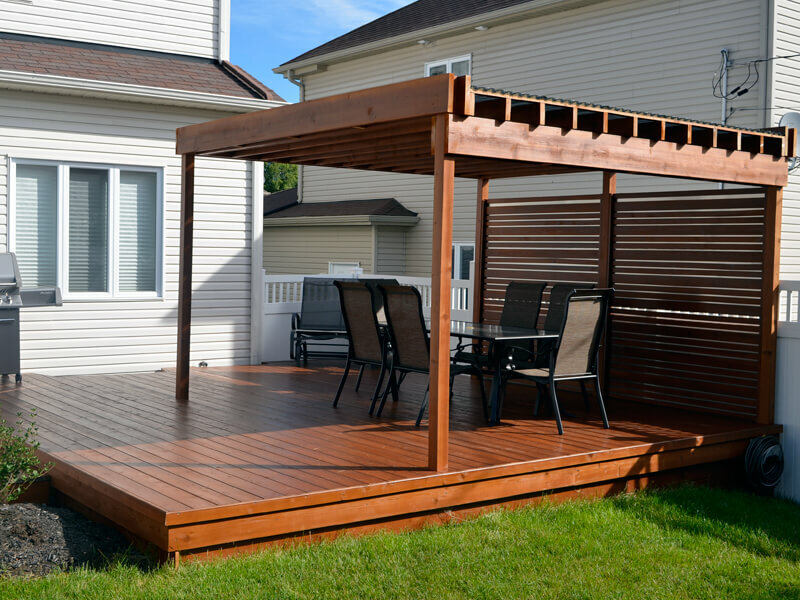 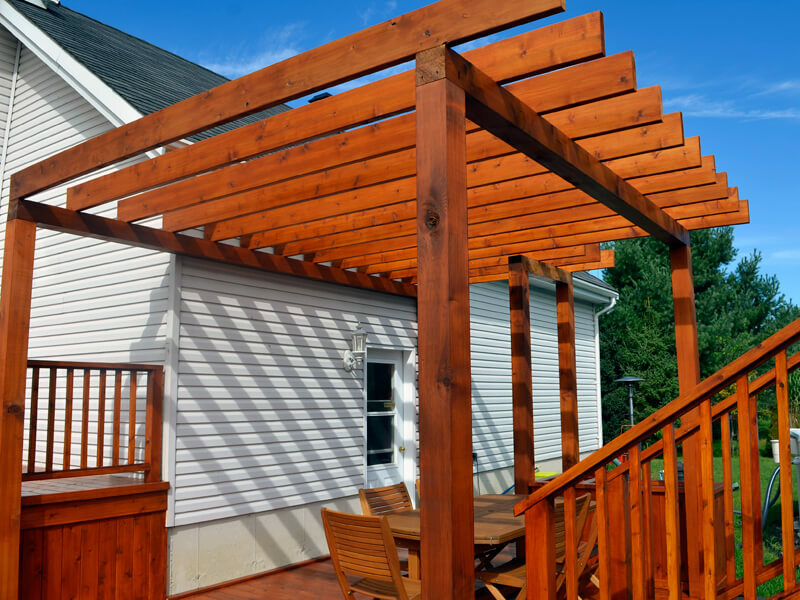 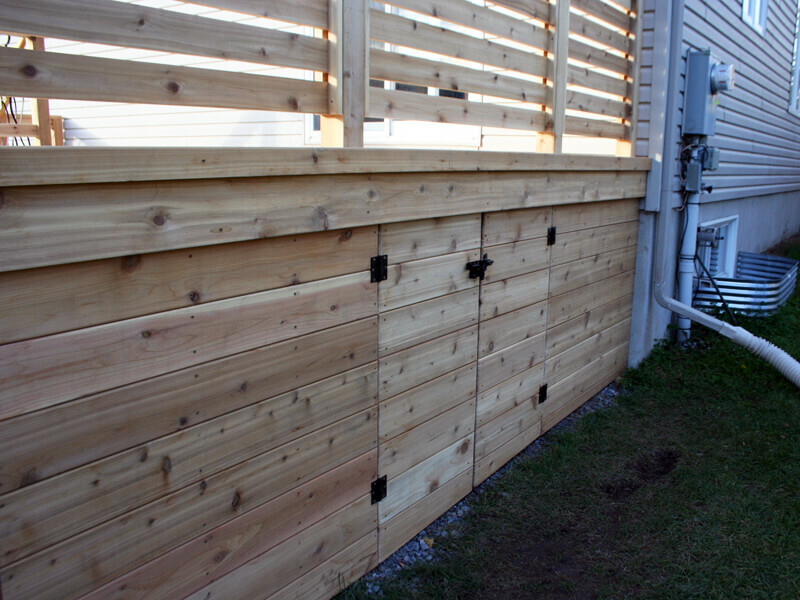 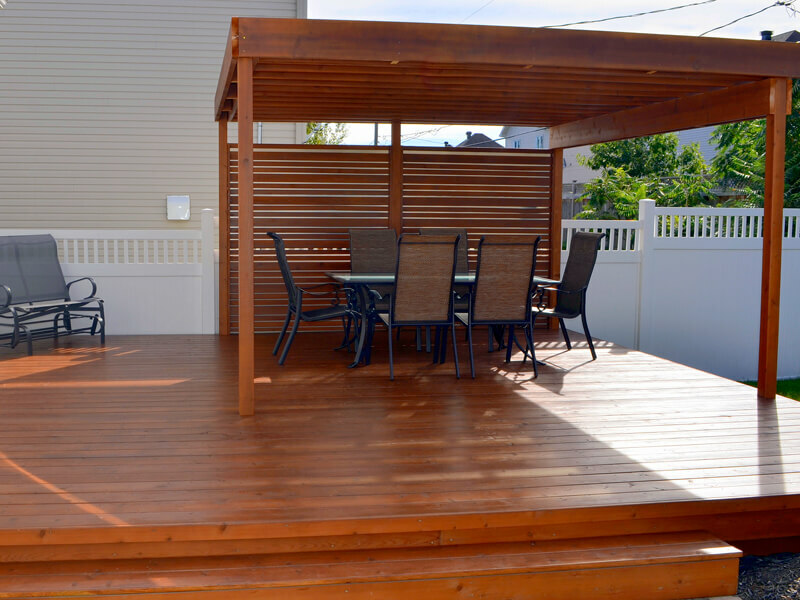 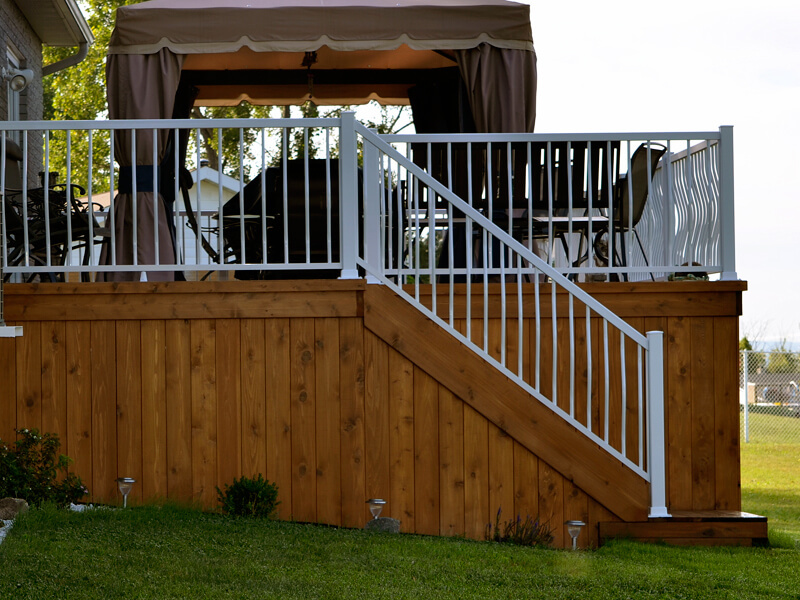 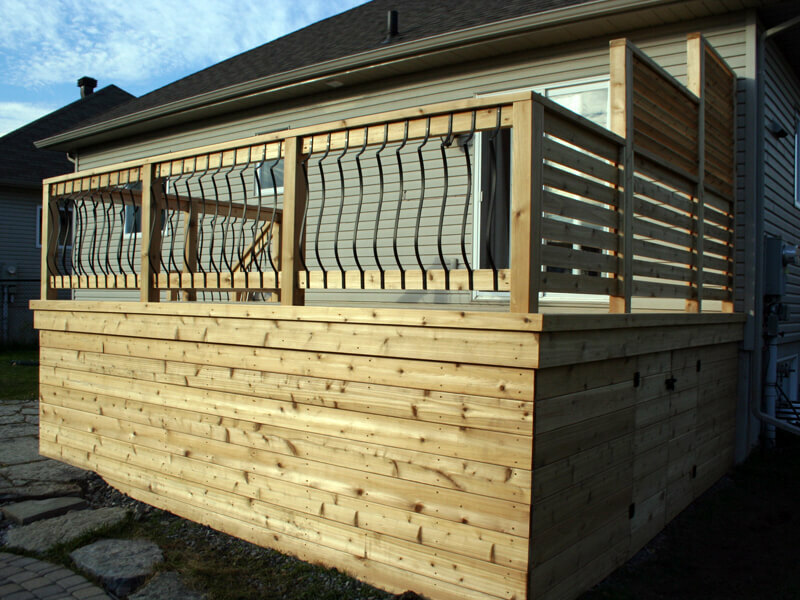 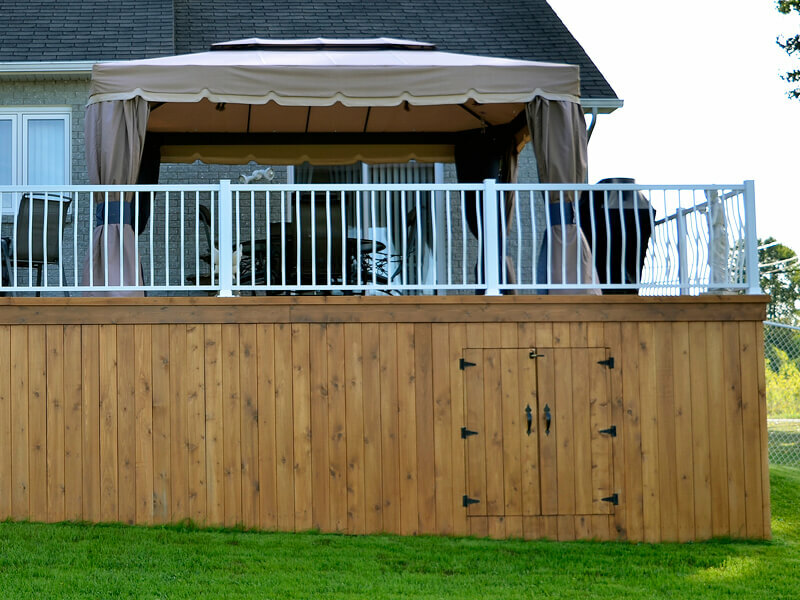 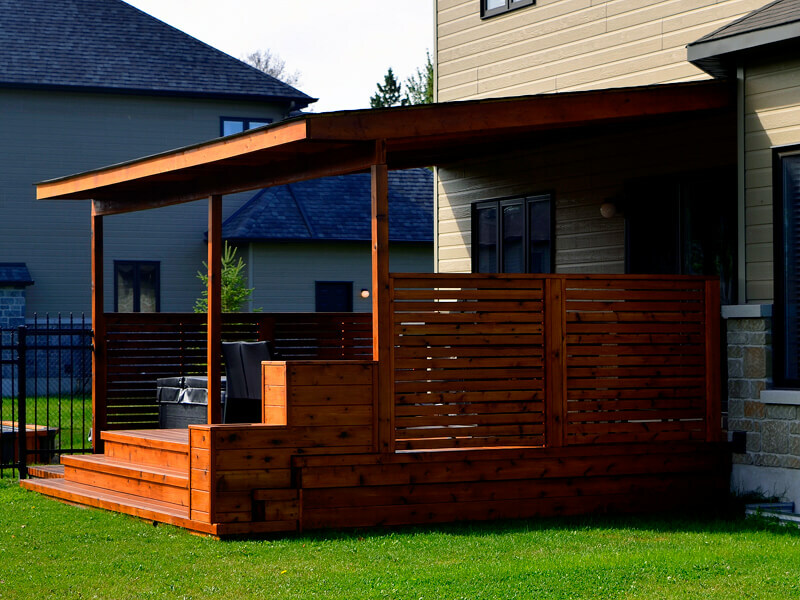 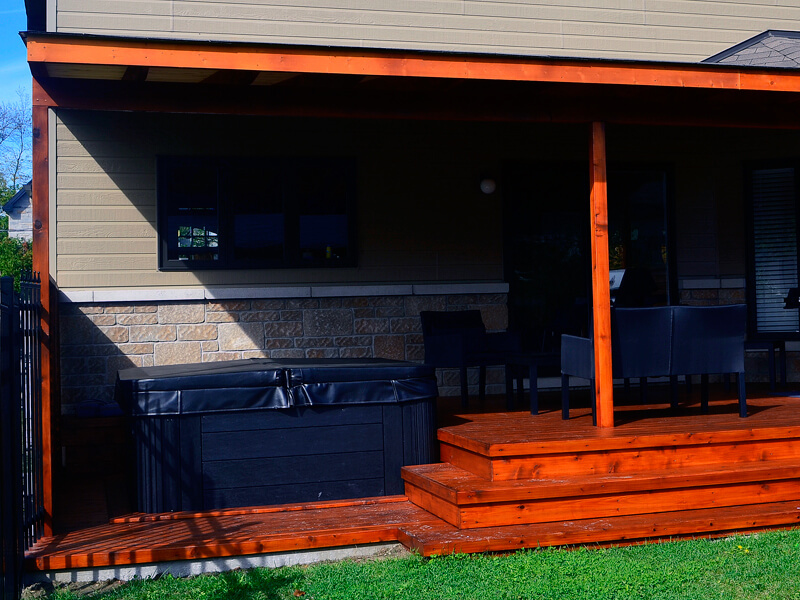 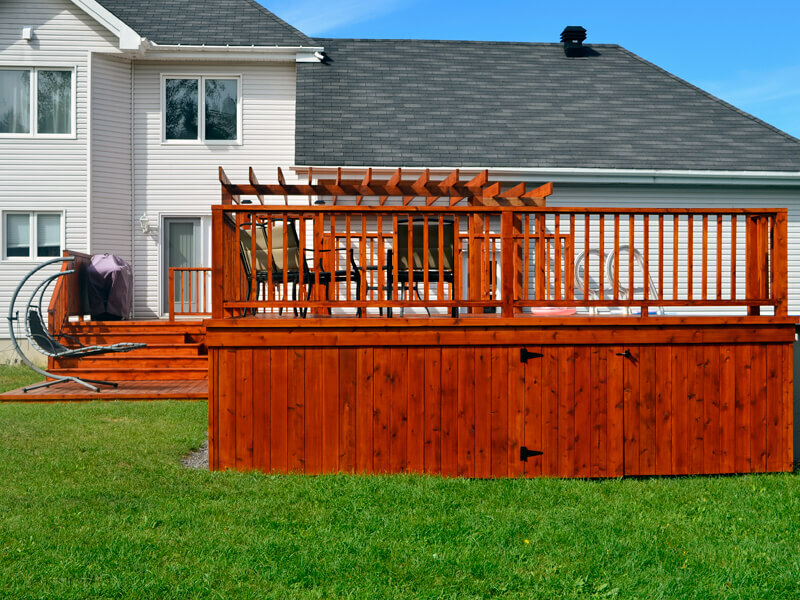 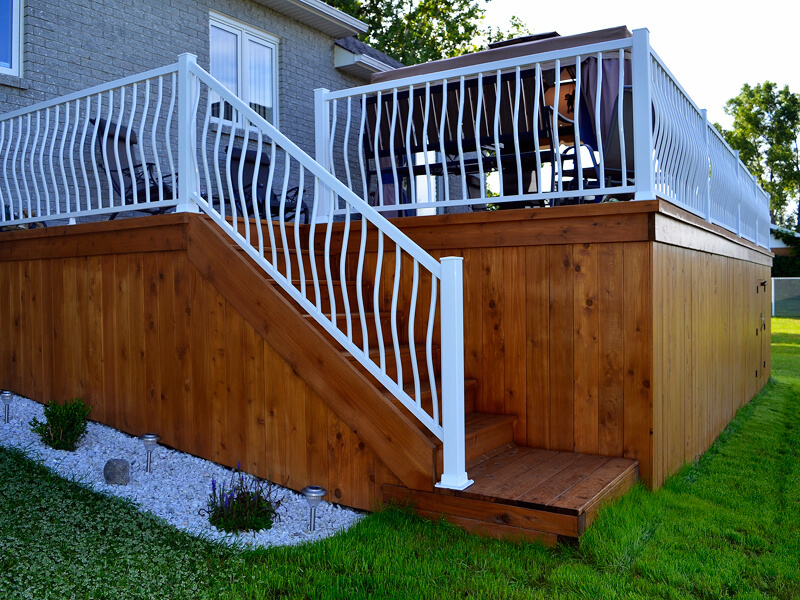 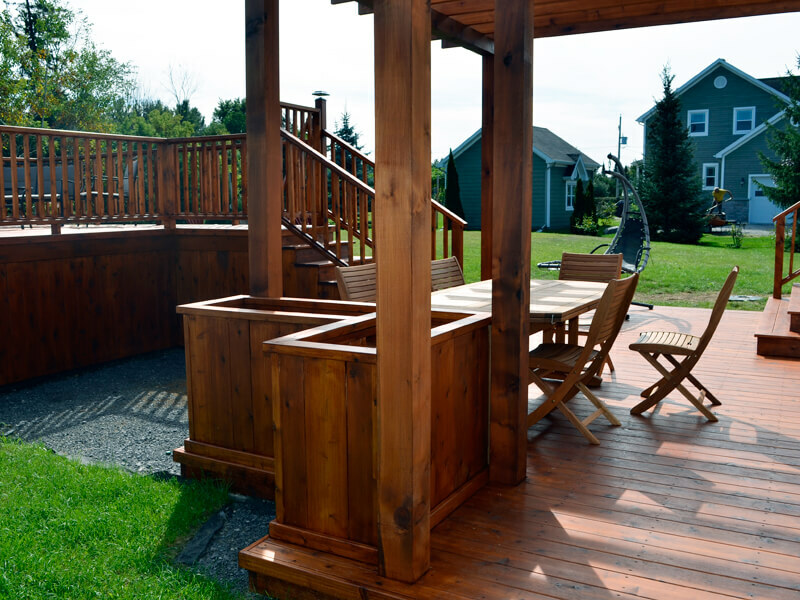 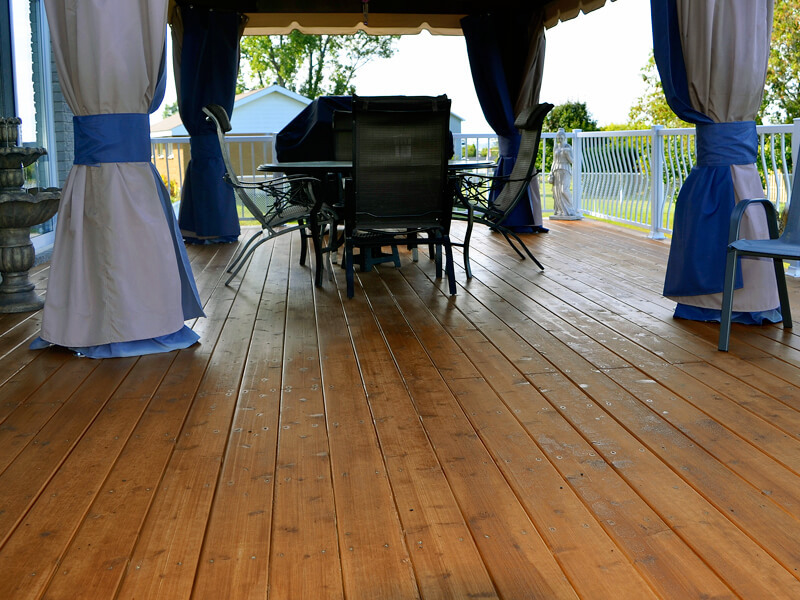 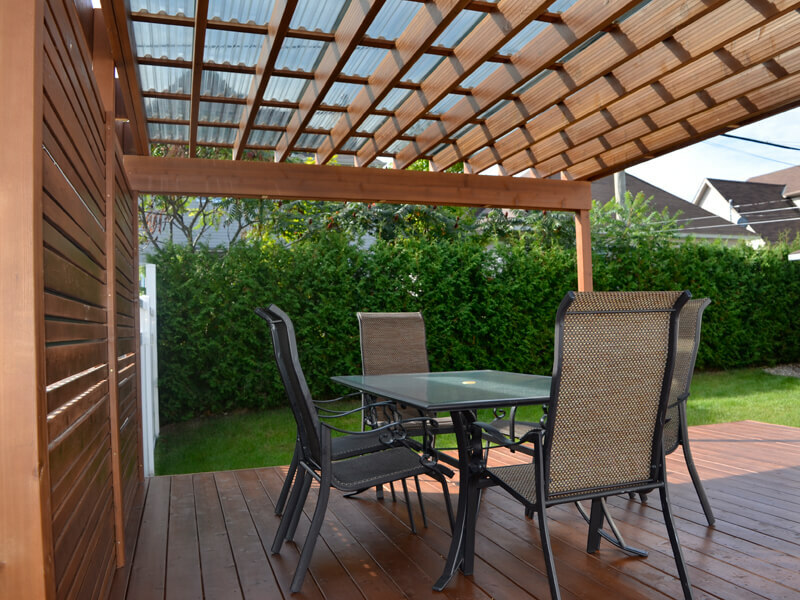 A well-built deck increases the value of your home. 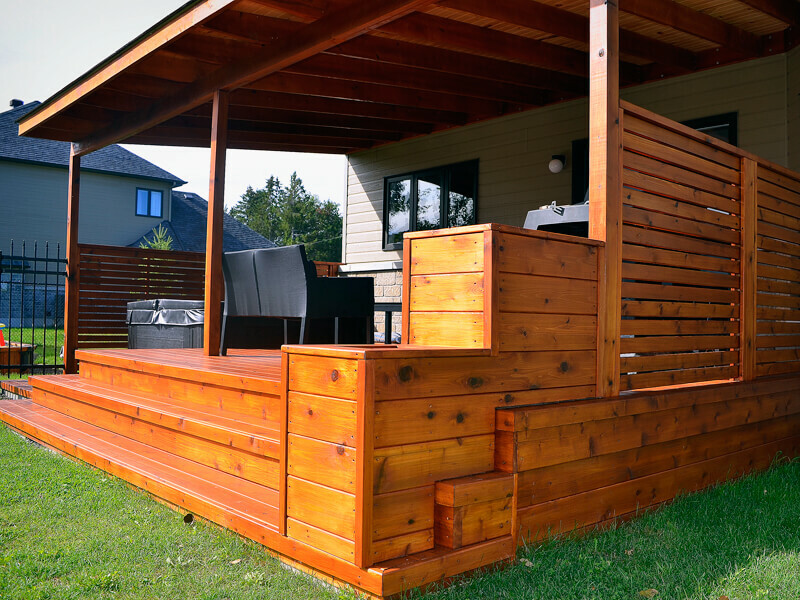 It will allow you to benefit from additional living space. 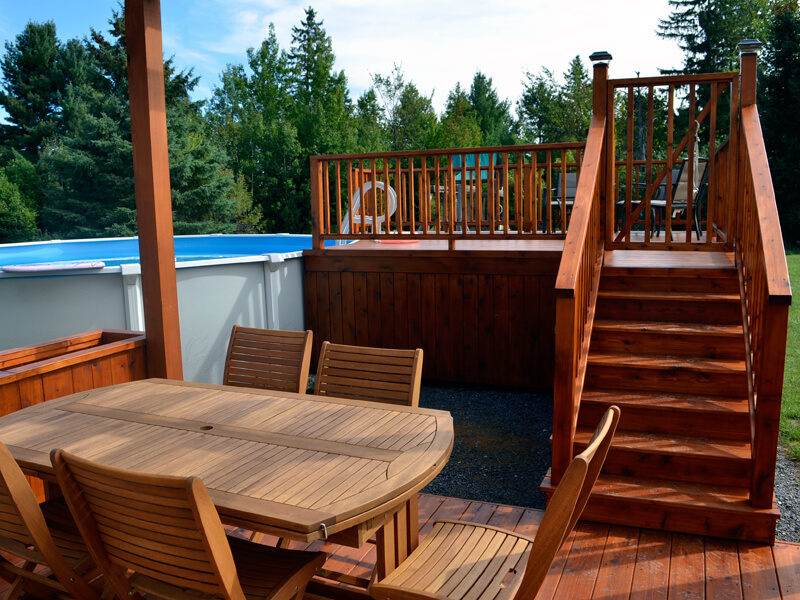 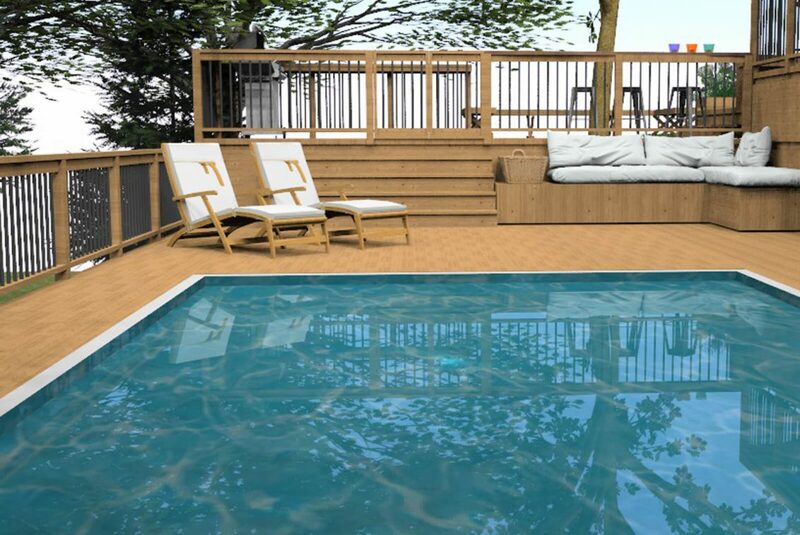 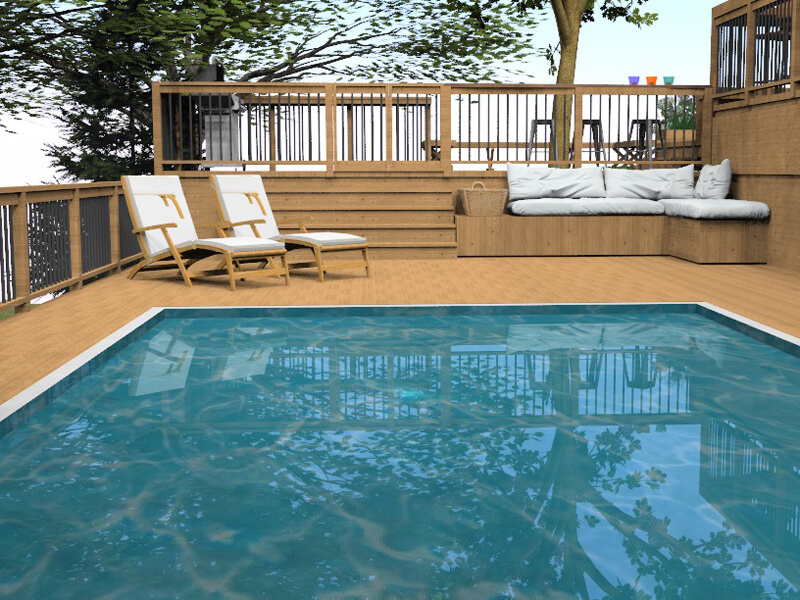 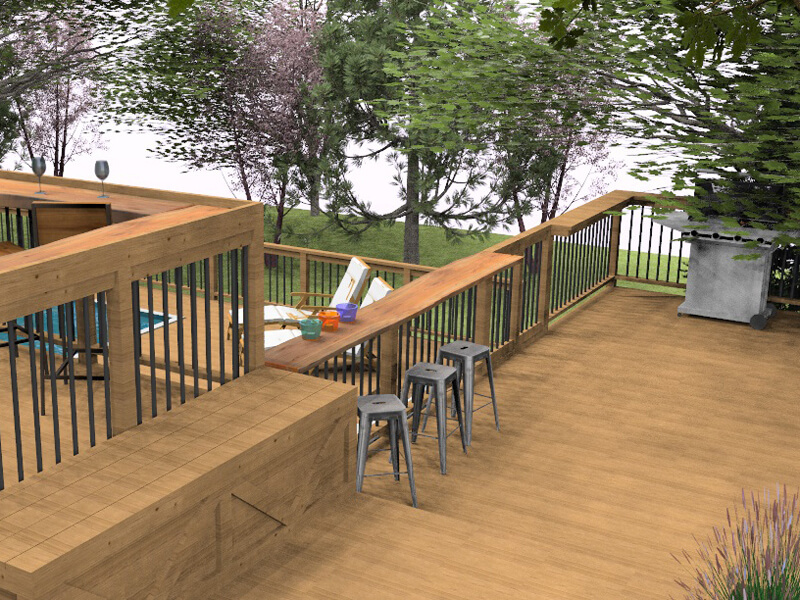 Whether it is a terrace for your dining area, a patio to access your pool or a relaxation area, each deck is unique. 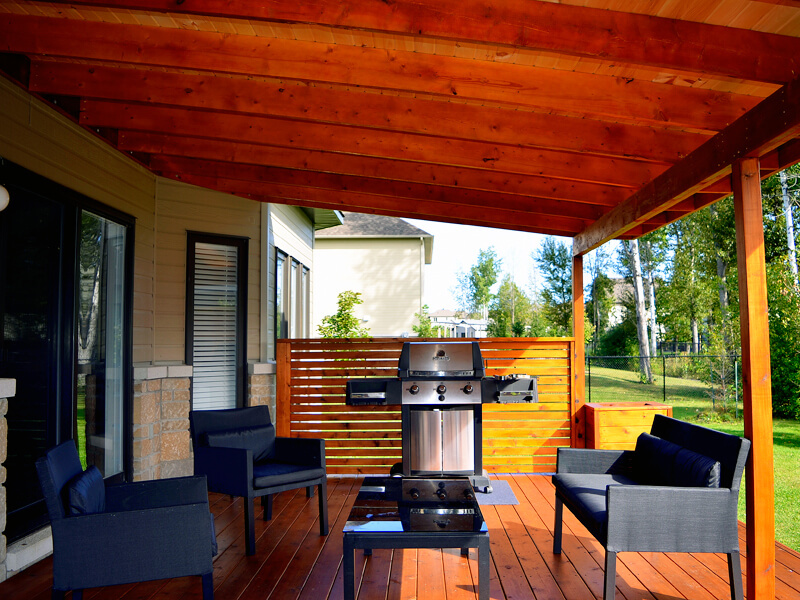 An outdoor area should reflect your lifestyle. 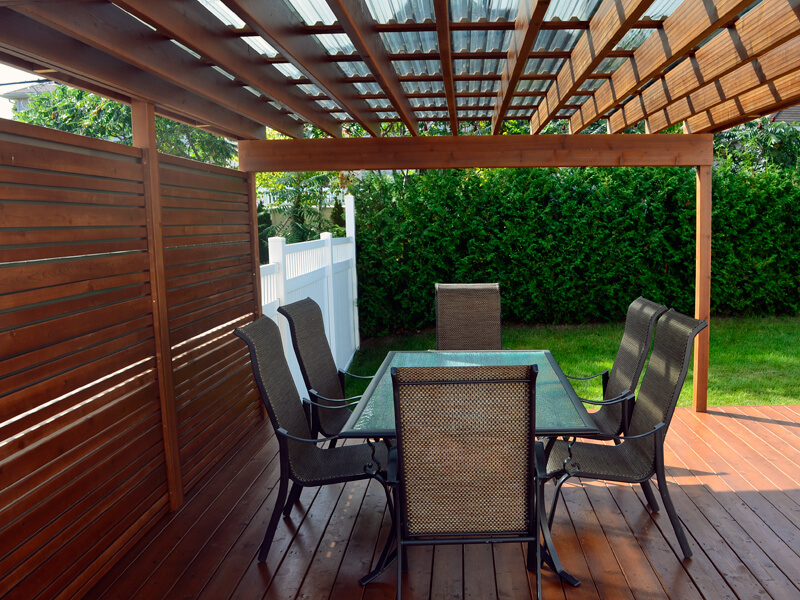 Therefore, we place great importance on the planning process. 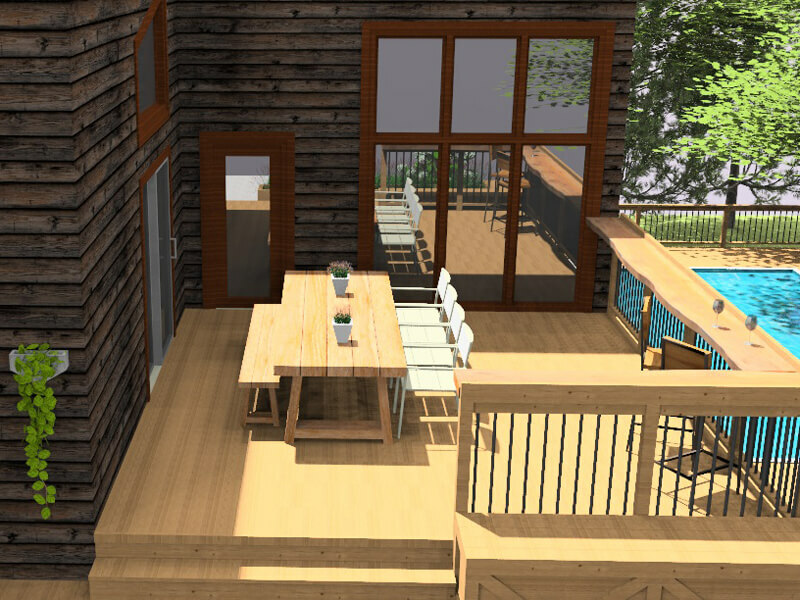 Our team will present you your project in a 3D modeling software. 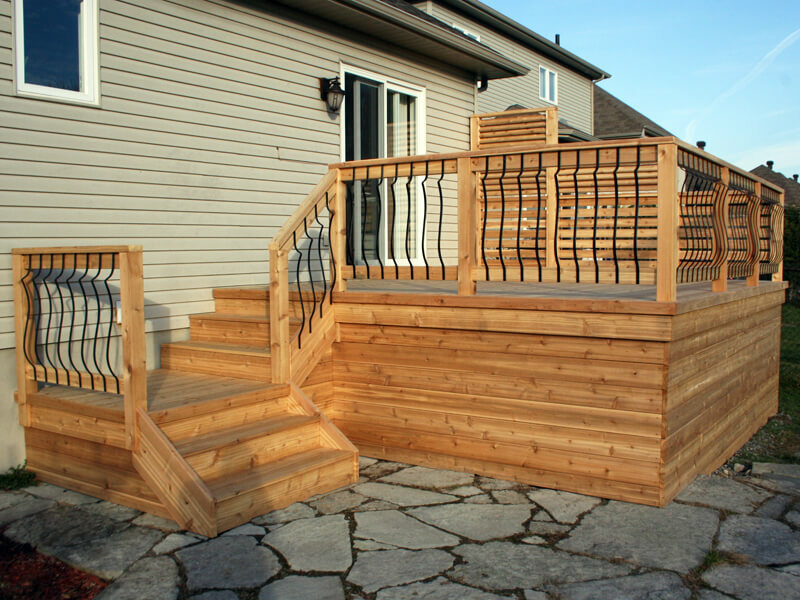 We favor the use of Western red cedar for our achievements. 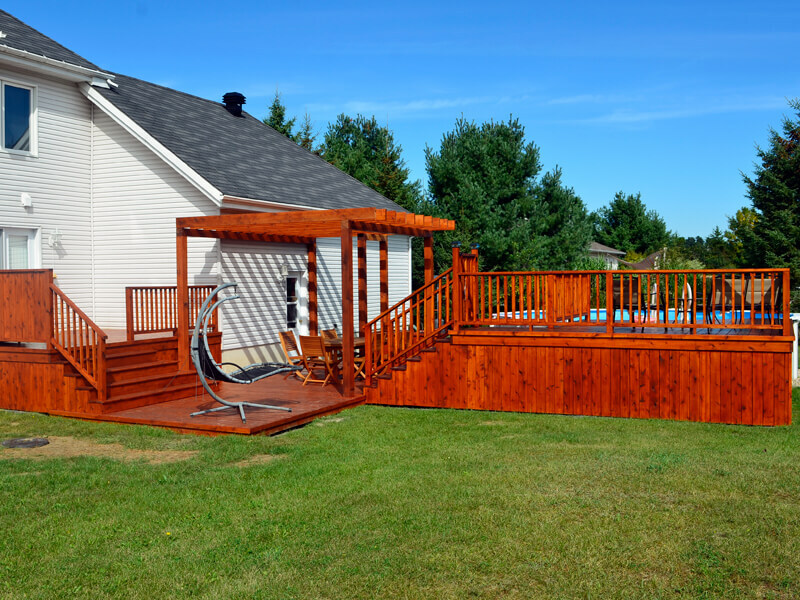 Its recognized qualities and its durability plentifully justify the required investment. 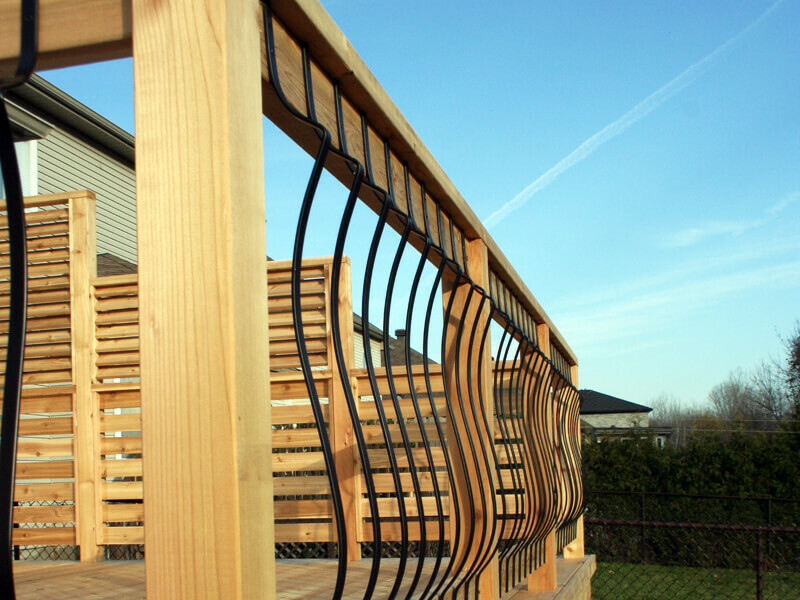 Lumbec is a creative, design-oriented team that has been manufacturing and installing its products since 1978. 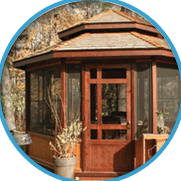 Our experience with custom garden sheds, garages and gazebos construction offers our clients unparalleled quality of execution. 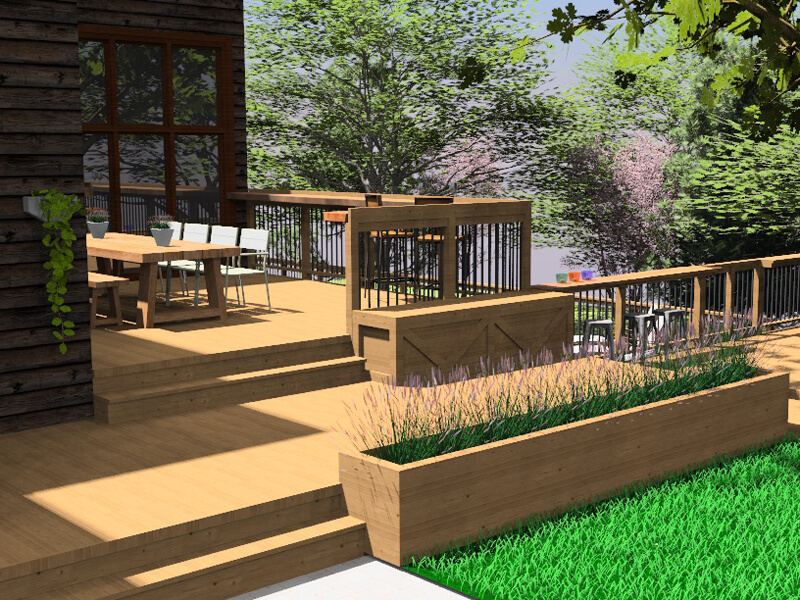 The expertise gained in the construction of tiny-houses and guest cottage allows us to offer spaces where design, innovation and efficiency are at the forefront of our approach.